POST UPDATE: As my old favorite, the Scott Gustafson illustrated version of Peter Pan is no longer available - I am now recommending the MinaLima illustrated version of Peter Pan, due to its inclusion of interactive elements that are certain to fascinate any young reader! The new MinaLima illustrated Peter Pan may not be everyone's cup of tea - so be sure to preview it, just to make sure it is in line with your expectations. It is like a 21st century version of an early 20th century classic. I like to think that modern kids have new expectations and that we can offer them a completely new approach to an old story - and this MinaLima illustrated editions does that amazingly. 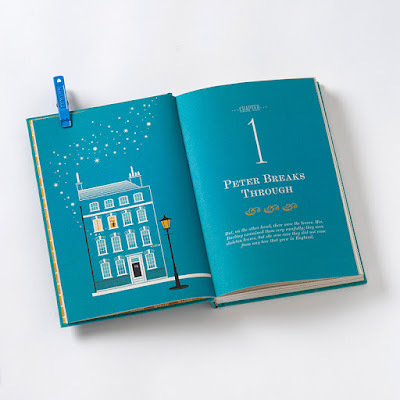 It contains many colorful illustrations as well as surprising 3d elements such as a pull-out map of Neverland and a special interactive clock (the croc o'clock) that you fiddle with by turning its hands. I know which question is lingering on your lips, as I write this sentence. MinaLima is a studio, not a person. And it is best known for taking part in the Harry Potter movies series by creating the visual stamp for the Harry Potter movies. You wouldn't be wrong if you say that MinaLima is not a person, but is two persons. Namely, the London-based graphic design studio was established by Miraphora Mina and Eduardo Lima. After I updated this post with the information about this new MinaLima edition, a great friend of the Read Aloud Dad blog - Rodrigo Morlesin contacted me. Rodrigo had just returned home from the Guadalajara International Book Fair -the biggest such fair in Spanish language in the world. - told me he had a copy of the new MinaLima book. Last week a delightful letter arrived in my mailbox. Sandra - a charming reader of this blog - had a question. After reading my review of an enchanting illustrated version of the original Pinocchio, Sandra said she wanted to find more smashing illustrated classics for kids. "Now, if fate would smile on me once more and point me in the direction of another great classic, Peter Pan. You saved me with Pinocchio. 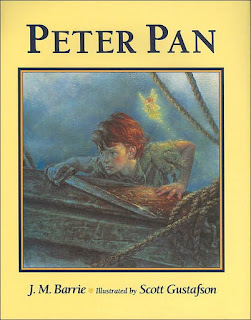 Do you by chance have a recommendation for a great Peter Pan edition? This is another one with endless editions and illustrators. If there's one by Roberto Innocenti, I missed it. Wouldn't that be a dream? I'm having that deja vu feeling again...another rabbit hole perhaps? Thank you ever so much!" I told Sandra I had good and bad news for her. The bad news was that she would have to several days for my response in the form of this blog post. 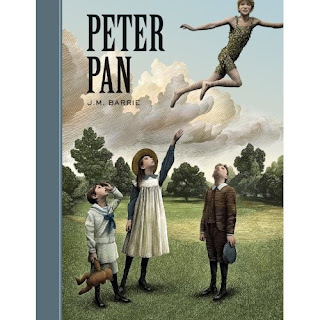 The good news - several months ago I bought a great illustrated Peter Pan that I love.In fact it was more than half a year ago - I just looked it up! Sandra - let me thank you for the great question! I had a great time writing this post. But, let's not lose more time... lets start our quest for Read Aloud Dad's top illustrated version of Peter Pan! Read on! 2. Unabridged (Not a synthesized, easy reader, learn-to-read, edited or watered-down version). 3. Illustrated - nicely if possible! 5. The illustrations, layout, fonts, covers and presentation must capture our imagination after we leaf through the book in a store or library or online. Even though one can find many editions of a book on sale, it is pretty difficult to pass all of these conditions. 1. 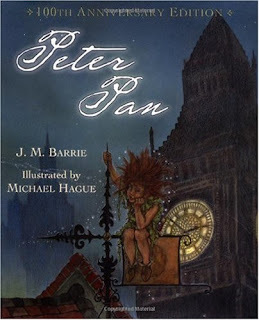 Michael Hague illustrated Peter Pan (100th Anniversary Edition). I was excited to read the words "100th Anniversary Edition" in the title, I was practically certain that this would be the book for me. 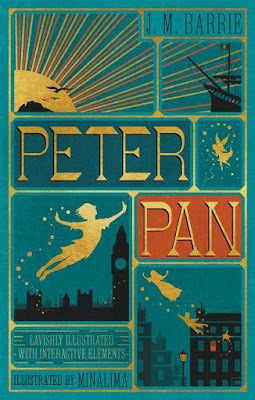 It is evident from the cover page that it is a completely original different Peter Pan (look at Peter Pan's hairdo!) from Disney's! But we are not looking for Disney. So that's a plus. This is a 176-page Hague extravaganza (10.3 x 8.4 x 0.8 inches, weighing at 1.9 pounds). This book ticked all the boxes I wanted. Almost. Captures my imagination? Not sufficiently. I really did want to like it, but I was - and still am - missing a certain je ne sais quoi. It just didn't click with me. The illustrations, I mean. I found them rich, heavy in symbolism, really imaginative, everything was OK on face value. Still, the book did not work for me because the illustrations left me cold. I wasn't interested in the fate of Hague's Peter Pan. A brief glance at the original Michael Hague 1987 edition failed to convince me, in fact it just reinforced my feelings. This wasn't promising. My lack of enthusiasm towards the book's imagery would undoubtedly spill over into my reading and my kids would detect it one day. I knew I had to look elsewhere for my personal Peter Pan. 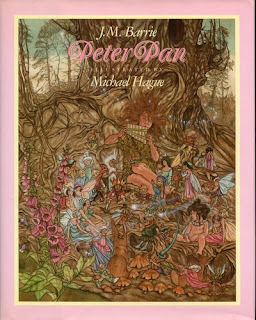 But, I do think that Hague's Peter Pan is excellent value for money - just make sure that you like the illustrator's style. Most reviews for it are very positive - keep this in mind! But the search had to go on for me. No surprise there - a search for the best edition usually takes large chunk of your time. What a charming cover image (and nicely priced version) of Peter Pan! Captures my imagination? Yes - but only the cover! By the way, I love the philosophy behind the Sterling Classics. They offer affordable, unabridged and hardcover versions of children's classics! Great combination. When building a children's library at home, one can't fill it up only with luxurious large hardcovers with page-to-page illustrations. Moderation is needed even in children's literature and saving a dollar here or there is a worthy cause! 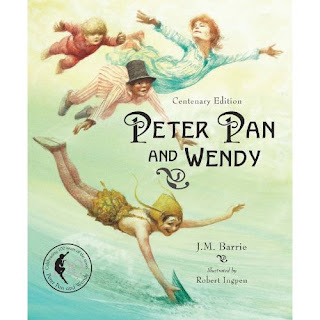 This size of this Peter Pan edition is 8.2 x 6.6 x 0.7 inches (weight 14.4 ounces). Yet, the Sterling Classics - although they are marketed as illustrated and unabridged versions of children's classics - really stumble in the illustrated department. The promise of colorful and buoyant illustrations that is implicitly made on the cover pages is not fulfilled. Inside, these editions mostly consist of text, text, text (pleasant font and layout for reading), but the small black and white illustrations are very, very few in number. I was also hoping to see a colorful cover underneath the dust jacket... but no. This sort of broke the deal for me and I went on to look for other options. Paradoxically, even though it was the smallest one, I simply could not "swallow" it's its diminutive size (6 x 3.7 x 0.7 inches, 6.4 ounces). 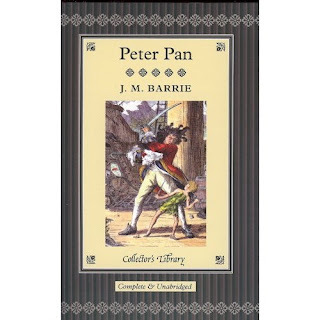 This edition is bound in real cloth and even includes Peter Pan in Kensington Gardens, the touching fairy tale in which Barrie first introduced Peter! So, if size is not an issue, you could look into this edition. Captures my imagination? Didn't even reach this test. But I must admit, I did not even check the quality of its illustrations by Arthur Rackham and F.D. Bedford - just because I eliminated it as too small for reading aloud to two kids. Although I am yet to reveal my favourite Peter Pan, let me tell you that the good news is that there are more options today, than when I ordered. This lavish edition wasn't in the equation when I was making my personal selection - I simply did not know of it. But it is an interesting option. This is a book book: It's 12 x 9.6 x 0.7 inches and weighs 2.4 pounds. A brief glance at it reveals that it passes most tests! Captures my imagination? I think it would, but I'm not sure about all the illustrations - I haven't seen them. So check out the illustrations in terms of style and artistic effect before you buy! This exact Ingpen edition was not available when I was ordering for my twins. The size of this 216-page edition is suitable for read-alouds with 9.5 x 7.9 x 1.3 inches and a weigh of 2.2 pounds. 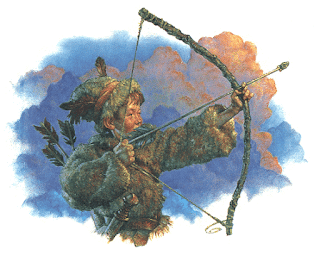 Robert Ingpen's trademark illustrations are world famous and if you like the style - you are in luck! Ingpen has illustrated some of the best children's classics and just a little digging will reveal a treasure trove of wonderfully illustrated books for your little pumpkins at home. Captures my imagination? Alas no. 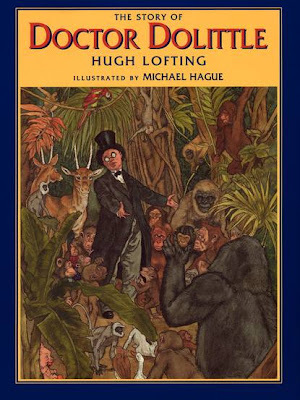 Although this is clearly a fantastic book cover - no doubt about it - I am not a fan of Robert Ingpen's illustrations in children's books. His drawings are usually darker, colder and more impersonal than I prefer. (this is merely a personal opinion of course - not an objective valuation of his artistic merit). So, we meet again Monsieur Ingpen... but, alas, I pass - again. 6. The Viking Juvenile Peter Pan edition, illustrated by Scott Gustafson. This edition boasts 50 oil paintings in full color! My heart skips a beat when I see them and if I have a complaint - I am truly sad that there are not more of Gustafson's oil paintings. This is already the best version in my opinion, but it could have been a book to kill for - if it had even more illustrations. Are the illustrations good? The pictures are simply perfect for children AND adults. I must admit that I have been in love with Gustafson's illustrations ever since I ordered his masterpiece Classic Fairy Tales. That book I simply do not know how to describe. It is simply intoxicating with its beauty. For parents with young children, do check out also his remarkable Favourite Rhymes From Mother Goose. Amazing! Well, Gustafson's master touch has been transposed onto Peter Pan with such feeling for the characters. From the cheeky boyish charm of pretty Peter Pan, to the awe-inspiring Captain Hook. Scott Gustafson spent approximately four years painting the fifty illustrations in this book. It is evident why. (And if you must ask - none of the original oil paintings are available for sale). The two-page paintings of Peter Pan duelling with Captain Hook and of the lost boys on the island are incredible. I must admit, that I would want more illustrations in this book. Still 50 color illustrations on 180 pages is not bad by any means. Since I bought this edition, I've been itching to read it. But then I stop myself - I want to share the first reading with my twins. It will be a reading to remember as this book promises to be a marvelous read-aloud. Still, does it pass my full test? Captures my imagination? Yes indeed! For your benefit, I will include several more illustrations from Gustafson's Peter Pan edition. I find them so gorgeous that I can't imagine reading another edition! But then, Scott Gustafson is to blame - all his illustrated books are equally fanastic. So, Sandra, it's good news after all - you have a great selection to choose from! If you do make a selection, do tell me. I feel as excited as you are! *Sigh* If only someone would do an unabridged illustrated Bambi. My feelings exactly! An illustrated Bambi is exactly what is missing. In fact these days it is even difficult to find a regular unabridged Bambi (even without the illustrations) that is unrelated to Disney. But an illustrated, unabridged version of Felix Salten's story - well that would be something else! I don't want to get your hopes up, but it seems that an Bambi version illustrated by the best selling illustrator Richard Cowdrey is coming out next month (on Feb 19, 2013), published by Alladin. You can see more about it on the publisher's web site (http://bit.ly/133XwkN) or on Amazon (http://amzn.to/XihxV7). Hopefully, it will be good! If anyone finds out how good it is - please let me know! I was so looking forward to reading your recommended version of Peter Pan and tonight was the night! I sat down with my kids ages 9, 8 and 6 and we were ready to dive in. They are not strangers to listening to a read aloud- even a read aloud that is quite a bit over their level. We have been doing it since they were tiny. For some unfortunate reason we could not 'get' Peter Pan. The language was a bit different than we are used to and even I am having a bit of trouble figuring out just who is who and what is going on. It's a children's book- I should be able to get it! Right?! Have you read this with your children yet? On the post above it says you haven't yet, but maybe you have now? What age do you think this book is for? I was trying not to let my children realize that I wasn't getting the whole story because I didn't want to discourage them but they told me themselves a few times that they 'don't understand what is going on' and wanted to stop. I'm going to stick it out and read a bit further. I hate to give up on a classic. Please reply and let me know if you have tackled this one with your children yet. Thanks! Thank you so much for your message and sharing your experience. I am certain that many many parents find themselves in the same dilemma (me included!). First of all, let me give you the answer you are waiting for - I have not yet read Peter Pan to my twins. Although Peter Pan is known as the quintessential children's book, I checked the text several times - and every time I decided it was way over the head of my twins (they are 5.5 years old). I am waiting for the magic window - when they will enjoy the book - not just listen to it. I don't think I will be reading Peter Pan to them in the next couple of years for sure. In fact, I don't have a plan for when to introduce the book. It doesn't feel right for them yet, that is what I know. But every parent knows their own child best. I share your opinion that the original Peter Pan may not be an enjoyable read aloud for some children who are younger than ten. But the key is - it depends on the child - as with other things in life, there are no absolute right answers here.. The language is different, the structure is different and the good news is that I think that I think it will work well when kids are 10 or older.. Will it be 12, 13? Maybe for my twins. For other children, maybe younger. We are similar in the respect that I like to read a book aloud - when I know that my kids are enjoying it. Although, listening to a book is certainly not harmful, - it is much better if they like the story. c. When I start the classic version again (after a year or so), I would read only very short segments (a page or two) every other (or third) day - until the story hopefully draws them in. This would help them to digest what they heard and not be overwhelmed. Plus more time for discussion - if something is confusing. d. Read the original on my own beforehand - to make sure that I "get it", because kids can sense when the parent is not enjoying the book very much. If children feel that the parent grasps the story well - or enjoys it - then they often try harder to follow. But, this is admittedly guesswork - it is true that I don't have the experience of reading Peter Pan aloud to my kids, so I will point you to a couple of links, where you will be able to read about experiences by other parents with the classic Peter Pan. I am sorry if I haven't helped you a lot, but on the other hand your comment helped me (and other parents!). Amy thank so much for sharing your experience! That was a wonderfully helpful reply! I appreciate it. No guilt in it. I was feeling bad because I wasn't sure I could/would continue the book, but now I don't feel bad waiting a year or two or three. The right time will come. I like all of your suggestions about how to read it when the time comes to try again. Thank you. Thank you also for the links. Now the big questions is...what is our next read aloud? A recent favorite of ours was The Indian in the Cupboard. All three of my kids really enjoyed that one. I did, too! That and The Enormous Egg and Homer Price and The Ordinary Princess...ok, I will stop. We love books here! Thanks again! Just found your blog. Fantastic! And thanks for this wonderful post! I'm very excited to make my way through your others as I read to my son. However, I have one question: When you do evaluations such as this one -- and thank you so much for doing so, as I often find myself hunting for posts such as this -- do you consider the original book with its original illustrations? Though admittedly the originals are not always the best, or even good, many are quite special, and I always prefer to consider them first and only move on to other editions if I find them lacking (or impossible to find). I'm always curious about how later versions compare and wish posts like this would discuss the other options in the context of the original work or at least include mention of it. Thanks again for your efforts in this blog. I'm sure it will remain a valuable reference for me for years to come. Oh, and have you finally read this one to your twins? If so, how'd it go over? Great question and I think many people are probably interested in this! In fact, I do research on the books that are available to me and then I choose the one that ticks most of my boxes. So - if the original is available, I do consider it. If it is not easily accessible to me, I don't hunt high and low for it. My primary goal is usually to find a good read-aloud edition of a classic for my twins. So, in the process, I usually research which books are available in the market to me at that given point of time. Nope, I have not read it to my twins yet - but as soon as I read it, I will let you know. I expect to read it to them in the next 12 months or so.